The above code would get a product collection, with each product having it's name, url, price and small image loaded in it's data array. The product collection would be filtered and contain only products that have an SKU starting with UX. Notice above, I used the LIKE operator There are many more operators in SQL and addAttributeToFilter will accept them all. I include them below as well as a reference for you. Hopefully this will save you some time. One thing to note about like is that you can include SQL wildcard characters such as the percent sign. after this change you can see few more errors. 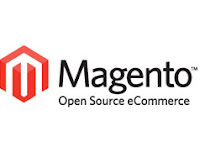 create tmp folder under root magento folder. Navigate to the "errors" folder. You should now see a new list of crazy errors all over the Magento page - this is okay. Now the final step is to go create a tmp folder in the root Magento folder. some otherwebsite and some points i had been worked out. wrong code if you find it from below, please excuse. 1. How top get Session details ? 2.How to get Store details? 3. How to remove index.php from Magento URLs? as that’s not good for Search Engine Indexing at all. So, here is the trick. Step: 1 Open your site root folder and you can find the .htaccess file. Step: 2 Then go to your Admin Panel and enable the Web Server Rewrites. refresh your Cache and also refresh the Web Redirects. Thats all. Test at Frontend now. In this case we need to check following steps. Step 3 : after this change you can see few more errors. 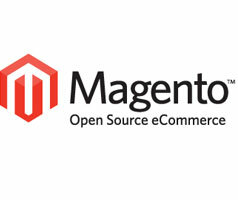 Step 4 : create tmp folder under root magento folder. 5. After Submit Registration form its redirect to where? And basic validation also has to check below file. How to remove price decimal in magento? Magento: Newsletter Custom fields Title, Firstname, lastname, email | How to add Title, Firstname, lastname, email in newsletter module.